On August 17th, please join us at our Summer Concert Fundraiser featuring the legendary Earth, Wind & Fire, whose founding members lived in the Henry Horner Homes! The concert is sold out through Ravinia’s box office, but we have a limited number of lawn and premier pavilion seats still available. In addition to enjoying classics like “September” and “Let’s Groove,” attendees have their choice of reserved pavilion seating or a spot on expansive lawn (we supply the chairs! ), either ticket will provide access to our private tent with a delicious dinner and an open bar. We would also like to extend a warm and sincere thanks to everyone who attended the spectacular Mary J Blige fundraiser earlier last month - you helped make this event a success! We enjoyed a wonderful evening with our good friend and guest of honor, Secretary of State Jesse White. Also joining us were 24 Local Advisory Council leaders, NPHM board members, and many generous donors. NPHM Welcomes Sue Enright, Director of Development! plans to further cement our role in the community with the opening of the museum in 2019.
preserve, promote, and propel housing as a human right. and the development of strategic partnerships. campaign. Please join me in welcoming Sue to the National Public Housing Museum community. Due to reasons outside of our control, the ReThink Why Housing Matters affordable housing rally next Monday has been cancelled. We hope to announce a rescheduled date soon, so be on the look out for more information. Join us on July 30th at 11 AM at the James R Thompson Center (100 West Randolph Street) for a rally to support affordable housing in Chicago. Our director, Dr. Lisa Yun Lee will be attendance, alongside our friends J.R. Flemming of the Chicago Anti-Eviction Campaign and author of High-Risers: Cabrini-Green and the Fate of American Public Housing, Ben Austen. We had our friends from Cabrini-Green come visit our exhibition, History Lessons on July 14th. It was a wonderful afternoon communion featuring food, music, and storytelling. Thanks to our friend, Raymond McDonald, for helping to helping to coordinate the program, we hope everyone had as much fun as we did! Interested in having a tour of our exhibition? Reach out to info@nphm.org to schedule a tour! The exhibition closes on July 27th. In the most recent installment of The Newberry's podcast Shelf Life, Lisa joins Newberry's Vice President and NPHM Board Member, Brad Hunt to discuss the complexities of telling the story of public housing, the power of place, and and some behind the scenes from our current exhibition, History Lessons. NPHM Executive Director, Dr. Lisa Yun Lee, alongside our friends and allies, J. R. Flemming, Dolores Wilson, and Ben Austen, participated at the Chicago Community Conversation. The Conversation, hosted by the Obama Foundation and the University of Illinois-Chicago, featured workshops that focused on the power of young people, the importance of mentorship for urban communities, and the importance of solidarity in the face of historical trauma. You can read more about her keynote speech, alongside those of bluesman Billy Branch and UIC physician Robert Winn here. One of our current artists in residence, Langston Allston, recently spoke with The Cornerstore on WGN about his life growing up in Champaign, Illinois and how music and comics shaped his identity, gentrification in New Orleans and Chicago, his current series Radiant City, and his partnership with the Museum. One of Langston's pieces, Modern Kitchens, is currently on display as a part of our exhibition, History Lessons: Everyday Objects from Chicago Public Housing. The National Public Housing Museum is pleased to invite you to History Lessons: Everyday Objects from Chicago Public Housing. The exhibit opens on May 30th and runs through July 27th. History Lessons features an array of ordinary objects from public housing residents that help tell the extraordinary stories of their owners, including a championship boxing belt owned by Lee Roy “Solid Gold” Murphy, and the leather motorcycle jacket of legendary Cabrini-Green organizer, Marion Stamps. The exhibition will also feature a mural-sized newly commissioned painting by Milton Reed, an artist who transformed thousands of apartments in the Robert Taylor Homes into dreamy landscapes. The exhibition also includes our new Animal Court Audio Story, a collection of oral history interviews recorded in the past year by the Museum’s Oral History Corps. The audio features public housing residents and their Near West Side neighbors, including Desiree Davidson, Dennis O’Neil, Ida Brantley, Blanche Winston, and Mary Baggett, as they reminisce about these enchanting animals. You can listen to a story collage that spans decades of memories by calling (312) 348-7834. The recordings included in the story were conducted by Shirley Alfaro, Shakira Johnson, and Francesco de Salvatore. The audio stories were funded by the Terra Foundation for American Art. The exhibition is reachable by public transit. Ample street-meter parking surrounding the office is available as well as a public parking lot at 520 North Kingsbury Street, which charges $12 per hour at the corner of Grand and Kingsbury. This event is wheelchair accessible. Individuals requiring sign-language interpreters, real-time captioners, or other accommodations should contact Mark Jaeschke at 773.245.1621 or mjaeschke@nphm.org at least one week in advance of the event. The National Public Housing Museum is pleased to announce that we are bringing you two wonderful fundraising concert events this summer featuring performances from Mary J. Blige and Earth Wind & Fire at the Ravinia Festival. 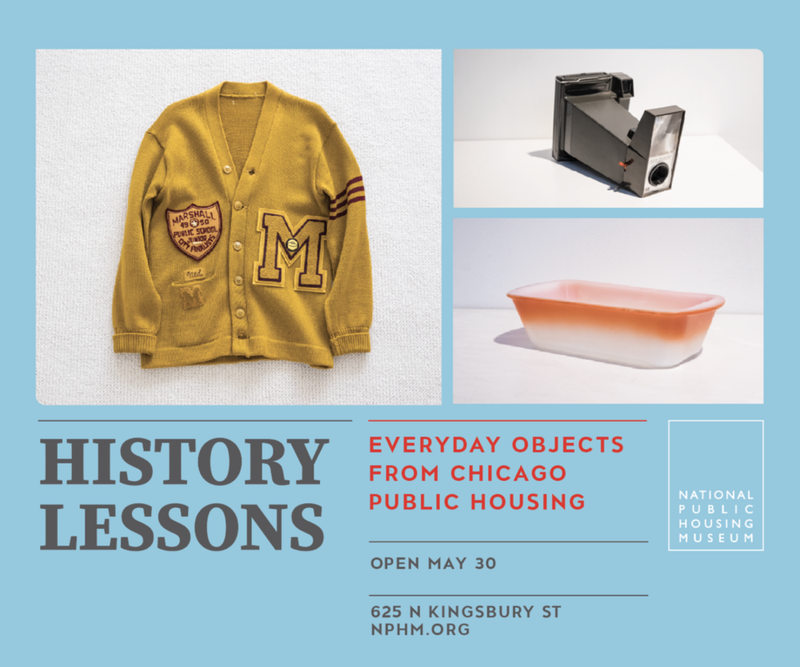 The National Public Housing Museum is pleased to announce the opening reception for our newest exhibition, History Lessons: Everyday Objects from Chicago Public Housing on May 30th. 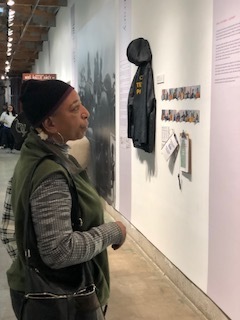 The exhibition, which features ordinary objects from public housing residents that share with us amazing stories of personal endeavors, as well as commemorating those that were most important in shaping their lives. The objects are described by the residents themselves, giving visitors a first-hand account of how these items played a part in their lives. The labels were created during writing workshops with Audrey Petty and Nate Marshall or during interviews with Rich Cahan. The opening will take place on May 30th at the NPHM offices, which are located at 625 N Kingsbury St, from 5:30-7:30 PM. Refreshments and drinks will be served. This event is wheelchair accessible. Individuals requiring Sign-Language Interpreters, Real-time captioners, or other accommodations should contact Mark Jaeschke at (773) 245-1621 or mjaeschke@nphm.org at least one week in advance of the event. 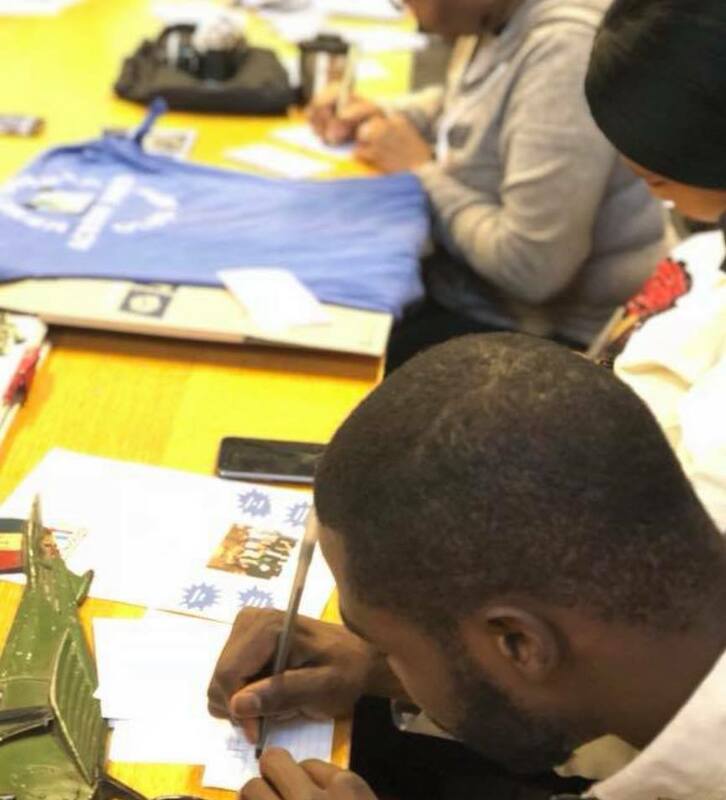 The NPHM hosted a label writing workshop on March 21st for residents that are loaning objects for our upcoming show, History Lessons: Everyday Objects from Chicago Public Housing. The exhibition features a wide variety of ordinary items that tell extraordinary stories of public housing and will feature labels that are written by those that are closest to them, the residents themselves, along with interviews conducted by Rich Cahan. The workshop itself, which was run by Audrey Petty, author of High Rise Stories was the first of two which led residents though how to write effective labels for their objects through historical and poetic lenses. The second meeting was April 18th and was led by Nate Marshall at Annie Stubenfeld’s Legends classroom. Shaq McDonald writing a label for a metal airplane given to him by his uncle. Shakira Johnson, of the Museum's Oral History Corps, along with Executive Director Lisa Lee, visited Representative Bobby Rush in Washington D.C. to interview him for our on-going oral history project. Rush, who grew up in Chicago public housing, was a co-founder of the Illinois chapter of the Black Panthers and worked on creating non-violent, community-centric projects to help African Americans living in Chicago. We are excited to add Bobby Rush's invigorating stories to our archives for future study. 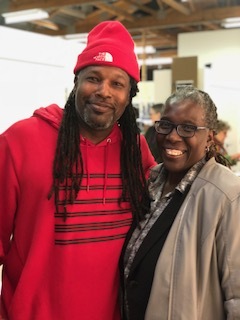 In conjunction with the University of Illinois-Chicago's Social Justice Initiative, the NPHM hosted economic activist Kali Akuno from Jackson, Mississippi to talk to residents and allies about cooperative businesses. The focus of the talk was to begin our work for establishing an Entrepreneurship Hub, comprised of the Social Justice Business School, Office Hours, and the cooperatively run Museum store that will be run by residents. The conversation, co-hosted by Teresa Prim, centered around the history of Jackson's project and other cooperatives, as well as the power of solidarity economies that bolster horizontal power structures that enrich the lives of those involved. All ears on Kali Akuno as he discusses the cooperative business model to public housing residents and allies. The Museum is currently planning our next steps for the Hub. We are hosting a lunch discussion on May 4th, from noon to 1:30 with public housing residents and allies to begin imagining how the co-op will best serve the community. Our Associate Director, Robert Smith III, was recently interviewed by Ian Elsner of the Museum Archipelago podcast. The conversation touches on the power of place, the museum's future at the Jane Addams Homes, and our ongoing mission to propel the conversation that housing is a human right. You can listen to the podcast here. Thanks to Ian for having us! We had such an amazing evening last night with Ben Austen, Audrey Petty, J.R. Flemming, and Dolores Wilson as we celebrated the release of Ben's new book, High-Risers: Cabrini Green and the Fate of American Public Housing. We are so grateful to all who were in attendance last night and we are happy to share a few highlights from the evening below!